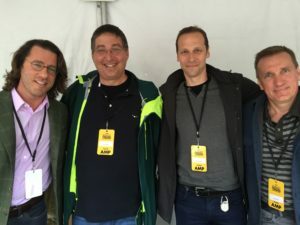 I had a fantastic time last weekend at the Los Angeles Times Festival of Books, which is heaven for book lovers and especially crime fiction fans. 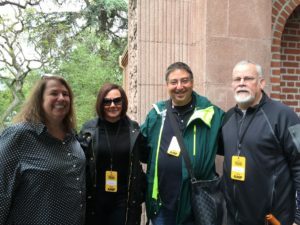 There were tons of big-name crime writers (like Michael Connelly, James Patterson and Stuart Woods, among others) and literary novelists on hand (like T.C. Boyle, Joyce Carol Oates, etc) in scores of free panels and talks…along with media celebs like Marvel’s Stan Lee and HGTV’s The Property Brothers. The Times inquired of Ms. Clark what she thought of the Simpson series and, in particular, Sarah Paulson’s onscreen depiction of her. The wily lawyer — who practices as a defense attorney for court-appointed cases at the appellate level — replied that she “didn’t want the panel to get hijacked” by O.J.-related questions, but the jocular Mr. Goldberg saved the day, insisting upon a response. Ms. Clark then delivered her verdict, calling the miniseries “tremendous” and Miss Paulson a “genius” who “absolutely gives you the truth,” adding it’s difficult compress a more-than-yearlong legal process into a 10-part television program. Later that same day, I moderated a panel on crime writing with my friends Barry Eisler, Gregg Hurwitz and James Rollins that was great fun. 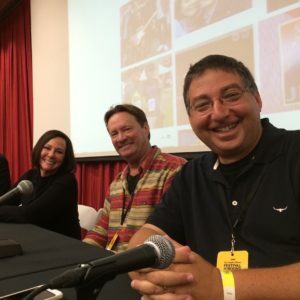 We talked a lot about how we create, research and write our thrillers..a discussion that ended up being unexpectedly, and frequently, humorous. In between those panels, I ran into lots of old friends, and hosted signings for our Brash Books authors Michael Genelin and Phil Reed (as well as Phoef Sutton and Craig Faustus Buck) at the Mystery Ink booth. If you’re in L.A. next April, you have to attend the Festival. I never leave without spending a few hundred dollars on some terrific books…and learning something useful about writing. But Doug, his co-signers, and the Author’s Guild haven’t shown that same outrage, or any concern at all, about booksellers boycotting books from Amazon Publishing, a practice that has been going on openly for years. I believe that the Authors Guild, and guys like Doug and his co-signers, shouldn’t support one retailer’s right to carry whatever title they want…for whatever reasons they want…and not Amazon’s right to do the same thing. That was my point in yesterday’s post. Doug’s argument was disingenuous. This dispute is not about what’s best for either authors or readers. My post sparked a lively and friendly debate on my Facebook page, where several people pointed out that booksellers aren’t going to stock books published by Amazon, a company they see as their competitor. Some people also pointed out that many booksellers feel betrayed by authors who signed with Amazon Publishing. Furthermore, some booksellers felt that authors who signed with Amazon Publishing showed a fundamental lack of concern for the future of the booksellers who’ve supported them for years. I don’t think that’s a fair or accurate characterization. Many of the authors now published by Amazon Publishing were either dropped by their publishers (and thus radioactive as far as other publishers are concerned) or were offered terrible contracts that ultimately pay below minimum wage. Amazon Publishing has revived the careers of hundreds of mid-list authors who otherwise would be finished in publishing…or forced to take crap contracts that they can’t live on just to remain in print. I believe it’s wrong for any bookseller to see it as a betrayal if an author chooses to take an Amazon Publishing contract in order to continue supporting his family and to stay in print. By the same token, I can understand, emotionally and on principle, why a bookseller wouldn’t want to carry Amazon Publishing titles. I don’t resent any bookseller for making that choice. Michael Connelly’s TV show BOSCH, based on his Harry Bosch books that booksellers have lovingly handsold for years, is exclusive to Amazon. You have to be a member of Amazon Prime, or rent episodes from Amazon, to watch it. I haven’t heard any booksellers accuse him of “betrayal” or insensitivity to booksellers for taking his show to Amazon. In his case, making that choice wasn’t about paying his mortgage or saving his career. 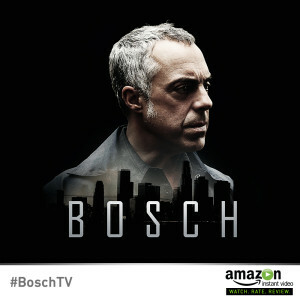 And I bet booksellers will continue to sell his Bosch books….and when tie-in editions of the Bosch books come out with actor Titus Welliver on the covers, bookstores will sell those, too, even though they will be promoting BOSCH, and drawing new viewers to an Amazon-exclusive TV show. But those same booksellers won’t carry Amazon Publishing books by critically-acclaimed, award-winning mystery authors like Harry Hunsicker or Alan Russell or G.M. Ford. Most Amazon Publishing authors are mid list. Michael is a huge, bestselling author, so they’d be taking a financial hit by not stocking his books…and would piss off their customers. Michael is also one of the nicest guys on the planet, who has supported indie booksellers for decades with in-store signings and drop-shipped signed books. I can’t think of anyone who doesn’t like and admire Michael. I certainly do. There’s enormous, well-deserved affection and admiration for Michael, so booksellers wouldn’t think of hurting his feelings by not stocking his books as a stand against Amazon. If anything, they have expressed nothing but happiness that Bosch is finally coming to the screen…though it’s exclusively through Amazon. 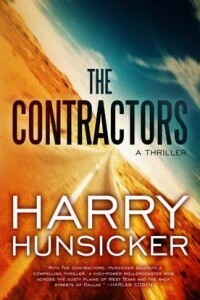 On the other hand, there’s Harry Hunsicker. He’s an award-winning, critically acclaimed novelist that booksellers enthusiastically hand sold.. and who, in return, has supported booksellers for years, both as an author and also as executive director of the Mystery Writers of America. And he’s also one of the nicest people you will ever meet. But most bookstores won’t carry him anymore, because he’s published by Amazon. The difference is, it’s easy to boycott Harry. Or Alan Russell. Or G.M. Ford. They are midlist. It’s not so easy to boycott Mike. He’s a superstar. But if booksellers were to boycott Michael’s books because the BOSCH show is exclusive to Amazon, you can bet there would be widespread outrage from the Authors Guild, and all of the authors who signed that New York Times open letter today. But when booksellers boycott Amazon Publishing’s books, and hurt hundreds of authors, that’s okay as far as Doug Preston, his co-signers, and the Authors Guild are concerned. I am not saying Amazon is right in the Hachette dispute, or that booksellers shouldn’t be able to choose what books to stock or how to price them. But I am saying that Doug’s stance, and Author United’s, and the Authors Guild’s, is hypocritical and disingenuous. And that booksellers who accuse authors of “betrayal” for signing with Amazon Publishing are wrong, too. It’s a complex issue, one that neither side can boil down to a simple argument…or simple villains.